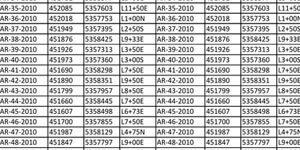 ZamZam gold bearing zone has been traced on surface for a length of 215 metres averaging 15.97 g/t gold. Preliminary metallurgical testing shows 95% gold recovery from 8.72 g/t Gold head grade material at the ZamZam zone. Gold and volcanogenic massive sulfide (VMS) potential. 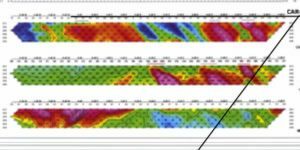 Significant gold bearing fault structures over 1 kilometer in length with surface work and drilling confirming continuity of the zones. Open on strike and at depth. During the past 100 years the Timmins area has produced over 70 million ounces of gold, making it one of the richest gold camps in Canada. The Porcupine Destor Fault Zone (PDFZ) and its associated splays influence the location of many of the major gold deposits in the Timmins camp and the Abitibi Greenstone belt. Timmins is also home to Kidd Creek, one of the largest VMS ore deposits in the world. 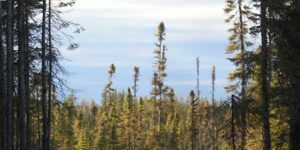 The 100% owned Carscallen Gold Project is located in the Abitibi Greenstone belt, 3 kilometres due north of the PDFZ and 25 kilometres west of the city of Timmins in Northeastern Ontario. The project shares approximately 9 kilometres of common boundary with Lake Shore Gold Corp., a company which holds the Timmins Mine and several other promising advanced prospects and promising deposits. Access to the Project is excellent, and is via a series of roads and trails which connect to Highway 101. 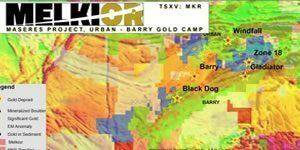 In the past 6 years Melkior has completed over 33,000 meters of drilling and has revealed several high-grade gold zones located in a 1000 metre by 1000 metre corridor. The gold system has been systematically traced from surface down to depths of 400 metres. Seven gold zones are located within the property boundary; ZamZam, Shenkman, Jowsey, 1010 North and South, Mystery and Wire gold occurrence.